I love God stories. I’d like to tell you one story that started five years ago when we’d gone to Matagalpa, Nicaragua, to purchase the property for a school. Our dream was to help break the cycle of poverty through a Christ-centered education for the community. The price for the land was to be $60,000. But at the closing, the lawyer asked for $30,000 more. It was too much, and we had to walk away from the dream. A few year later, our country director, Eric Loftsgard, was in Matagalpa having lunch and “happened” to run into the owner of the property. She expressed her disappointment that we hadn’t purchased it. When Eric explained about the price increase, she was shocked. All she had asked for was the $60,000. Then she said If we were still interested, she’d sell it for only $50,000. God provided! When we started preparing the land, we needed a backhoe. A friend of the ministry said the local John Deere Company in Nicaragua would help. They told us to choose whichever unit we needed, and they delivered it to the site for free. Now we had another challenge. No one knew how to operate it. One of our missionaries just “happened” to ask if we could use a father and son team from Canada who had a land evacuation company. They were in Nicaragua for two weeks and wanted God to use them. 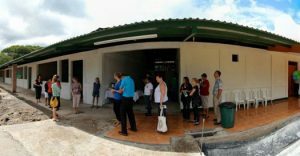 Within six months, God moved on hearts to pray and give, and the school, Nicaragua Christian Academy III, was completed and opened. We’ve had a 13-year involvement with NCA. We’ve been involved in the birth, development, and oversight of NCA II since its creation eight years ago. We’re now at 412 students. 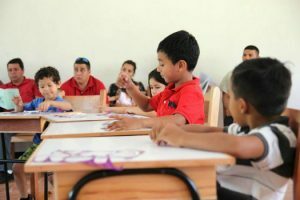 We have a goal to start Christian schools, within the next 15 years, to reach the 6 major cities with a population of 150,000 or greater. More than ever, I recognize that we desperately need God every day. Isn’t it interesting how God moves in His timing? Be encouraged as you trust and pray for God’s provision in your life.